There have been a lot of whispers and rumours about Thom Yorke's Atoms for Peace project since the band formed in 2009 to play The Eraser live. 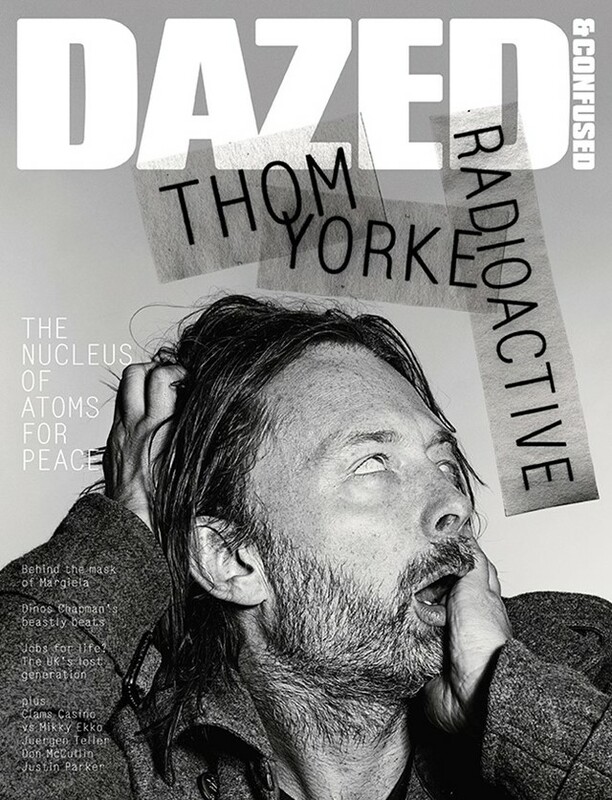 In the new issue of Dazed & Confused, the fabled frontman clears up the speculation surrounding Amok, his first group album outside of Radiohead, with one of his most in-depth interviews to date. He also talks frankly about his life and work, discussing his uneasy relationship with fame, that video for "Lotus Flower" and why he's still intent on bending people's heads of out shape. Elsewhere, one-half of the art world’s most gloriously grotesque duos, Dinos Chapman unveils his debut solo album Luftbobler, an experiment in electronic dance music. We also gain access to fashion’s most mysterious atelier, Maison Martin Margiela for a rare insight into their secretive world; Justin Parker, the producer behind Lana Del Rey’s "Video Games" grants us his first major interview; and beatmaker extraordinaire Clams Casino goes Head2head with songwriter Mikky Ekko. with over 40 pages of new fashion shot by Yelana Yemchuk, Pierre Debusschere, Gareth McConnell and Max Farago. All that, plus interviews with Don McCullin, Juergen Teller, Sheila Heti and Iris Van Herpen. To celebrate such a colossal issue, we thought we'd get you in the mood by asking Mr Yorke himself to make us an, ahem, A-Thomic mix of some of his favourite tunes. Little did we realise that he would go into the studio with Nigel Godrich and emerge with 25 minutes of unreleased solo material and remixes. Suffice to say, it's essential listening. Also stay tuned to Dazed Digital over the next fortnight, as we'll be enrolling 14 of today's most innovative producers, including Actress, Machinedrum, Flying Lotus and Arca, into "The University of Yorke". They'll be asking Thom a series of burning questions, plus much more.